05/28/03 Group Reveals Details of "Interactive XMF"
04/30/02 Die Hard: Nakatomi Feature Soundmax SPX "Animated Audio"
11/29/01 Jeff Essex creates "Moodmaker"
There was also an Audio for Games workshop. Panelists were: Steve Horowitz on Internet audio, Tommy Tallarico on audio production for games, and Rich Green on high-end home theater installations specifically for game audio needs. Check out the AES web site for details: http://www.aes.org/events/115/ Cheers, Martin Wilde Chairman, AES Technical Committee on Audio for Games. 07/08/03 - The Web Audio Working Group released its long-anticipated report on the state of web audio, providing analysis and commentary on all of the major technologies used for sonifying the web today. This report is required reading for anyone developing tools for this market, as well as for anyone looking for comparisons of available technologies. Group Reveals Details of "Interactive XMF"
05/28/03 - Linda Law, Chair of the IASIG Interactive XMF Working Group, has written an article for Gamsutra.com describing the motivation and direction of the group. According to group member Martin Wilde: "[we] are collaborating on the description and specification of the methods, intelligence and building blocks to make interactive game audio soundtracks... as an audio programmer I now have an outline from which to build a high-level game audio engine... audio content can truly be authored once, and published many times across platforms... as IXMF standards and sensibilities proliferate in the marketplace, audio artists and programmers will see a wealth of opportunities." 04/03/03 - The IA-SIG Steering Committee has issued a call for interest in a specification for adding loop/branch controls to Standard MIDI Files. Currently, such functionality is provided in many different audio engines using proprietary methods. This effort would establish a standard that would allow adaptive MIDI music to be developed on any MIDI sequencer and played any conformant platform. 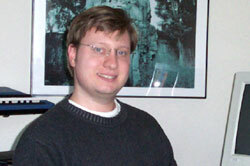 11/25/02 - Music4Games.net has posted an interview with IASIG member Alexander Brandon. 11/25/02 - Advanced article, by IASIG member Martin Wilde, demonstrating how to playback a standard midi file with custom samples from a Flash based midi sequencer created with ActionScript. 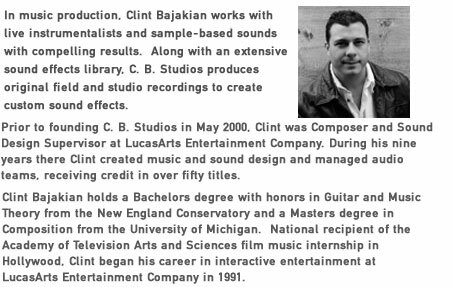 10/21/02 - In Gaming has posted an interview with composer /sound designer Lee Jackson, Music and Sound Director for 3D Realms, as the second part in their Music In Games series. 10/14/02 - Sonify.org's first in a series on web audio software, Brian Ayers writes about SwiffPEG, a Windows application for converting MP3 to streaming audio SWF. 10/09/02 - In Gaming has posted an interview with composer Lennie Moore as the first part in their Music In Games series. He composed the music for Outcast and has worked on many other projects including ‘Heavy Metal FAKK 2’ and music for film, TV and multi-media. 10/03/02 - Music For Games caught up with Steve Schnur, Worldwide Executive of Music for Electronic Arts, to discuss the formation of EA Trax, a program that partners music labels and artists. Q: Raymond, the ‘Dynamic Acoustic Modelling’ option certainly adds some extra dynamism to the positional sound – what exactly does this technology do, and how does it work? A: This technology uses the surrounding walls as acoustic mirrors to create secondary 3D sound sources. Each of these secondary sources is also appropriately time delayed. As you move through the city the reflections change since the relative location of the surrounding walls change. It’s very subtle, but adds an extra dynamic dimension to the audio. 09/09/02 - In this issue of Remixology, guest columnist Martin Wilde shows us how to create a dynamic interactive reverb engine with Flash. 09/07/02 - PC.IGN.COM has posted an interview the focuses on the music development for Age of Myth. Specifically they chatted with music and sound director Stephen Rippy and music and sound artist Kevin McMullan to find out a bit more about the process of creating and recording the music for the game. 09/04/02 - Music 4 Games has posted an interview with Core Design's composer Peter Connelly about the making of the Angel of Darkness game soundtrack and reveals plans for a CD release. 09/03/02 - Composer Ron Jones (Star Trek: Star Fleet Command and Star Trek: Star Fleet Academy and Star Trek: TNG) has published an article on the fusion of electronic and live orchestral music for interactive media. Q: Are you working with any new technologies? A: We've been doing quite a bit of mixing recently in Dolby Digital and ProLogic 2. Being able to mix in a 5.1 audio environment is extremely liberating, since every speaker has it's own independent soundtrack. Positional sound is a great technology to add to the experience of films and gameplay, and it really enhances the viewer's experience of the title. It'll take a little while before everyone has 5.1 systems in the home, but it's definitely going to be a great future for audio enthusiasts. 08/29/02 - claims support for surround sound audio at 44kbps, batch file conversion, audio gain control, audio re-sampling of 24 bit 96khz audio input.
. Different sound effects assigned to different textures.
. Unique and interesting weapon effects, distorted in real time.
. Ambient sound effects controlled by emitters.
. Sounds tied into the AI, allowing enemies to communicate and respond to noise.
. Realistic reverb and echo, depending on the environment.
. Multi-layered 3D positional audio, using multiple effects to produce a single sound.
. Spot effects and speech expressed via full 3D positional audio. GameSpy: How much time have you guys spent on all of the audio for Earth and Beyond? How much is complete, and what are you working on at this point? Paul Mudra: We hired a full time audio person for the project (probably about eight months ago) and he pretty much facilitated all the audio needs at that time. Then, about four months ago, we started to add other people to help with the audio tasks that needed to be accomplished. Basically, we now have everyone here at the audio department working on Earth and Beyond including our music composer, two dedicated sound designers, an audio lead, and some contract service people. I contracted out a music creator to compose some themes for us and I have a dialogue editing facility that I use. I'm actually doing some sound design now. Silva: Even though we have a pretty tight deadline, we find that they are still adding a lot of design elements and art elements to the game that require audio. So, as usual, the audio guys are in it until the very end. We are trying to facilitate all of the needs that are coming through right now. 08/02/02 - DTS is now offering its interactive software developers kit (SDK) to game developers directly through Sony Computer Entertainment Inc.'s (SCEI) Web site for PlayStation 2 game developers. DTS launched the DTS Interactive SDK last year to allow developers to create games featuring real-time interactive surround sound during game-play. Simplifying integration for developers who use SCE's MultiStream, the DTS SDK is now also compatible with this free audio development tool for games. There are currently four DTS-encoded PlayStation 2 titles available: SSX Tricky, NHL 2002, Sled Storm and Pirates: Legend of Black Kat (all from Electronic Arts.) You can find more details in the press release. 07/16/02 - Microsoft has announced the newest member of the Windows® XP family: Windows XP Media Center Edition. Formerly known by the code name "Freestyle," Microsoft® Windows XP Media Center Edition turns a PC into a media center that integrates digital entertainment experiences -- including live television, personal video recording (PVR), digital music, digital video, DVDs and pictures -- with the freedom of remote control access. Currently in beta testing, Microsoft will ship Windows XP Media Center Edition to OEMs in time for the holiday shopping season in the United States, Canada and Korea. It is expected to be available in Japan in the first half of 2003. No mention of Europe in this press release. You can as usual find more details in the full press release. Sonify.org begins featured discussion topic boards. 07/09/02 - In this all-day, hands-on workshop Thomas Dolby covers many of the composition and programming techniques needed to get the best sounds out of this year’s funky new phones. Workshops on August 16 Helsinki, Finland and August 20 or 21st London, England. 07/06/02 - Ambitious outsourcing games specialist Babel has announced the launching of a London sound studio aimed specifically at the games industry. Based in the heart of Clerkenwell, the studio caters purely for games companies and will not serve other sectors such as advertising and broadcast. Consequently, games producers can keep their costs down while using specialist gaming whose credits include PlayStation Formula One, Unreal Tournament, Jimmy Neutron and many more. You can find more details in the press release. 07/02/02 - Apple announced that it will acquire the Hamburg, Germany-based music software company and make it a wholly owned division. Macintosh-based products account for more than 65 percent of Emagic's revenue. The company plans to discontinue its Windows-based products on 30 September. 07/01/02 - YiYas has posted an interview with composer Jesper Kyd. You may have heard his work if you played MDK 2, The Nations, Hitman 1 & 2 and Messiah to name some. 06/17/02 - Check out the new sonify.org Koan player tutorial section. The Koan player, now part of the TAO suite of technologies, offers superior quality audio and interactivity at very low bandwidth. 06/11/02 - Music for Games has posted an interview with the creators of N.S.O. - the world's first orchestra dedicated to computer & videogame soundtracks! GameSpy: What is your role in the development of DOOM III? Graeme Devine: I wrote the sound engine, and I wrote the particle engine. We're trying to take the sound from where we were in Quake 3, (Return to Castle) Wolfenstein and so forth, up to the next level. We're doing full room acoustics on the fly, so as the room gets smaller around you, you can hear the echo of your gun, with reverb. We're also working in 6-channel sound, real-time 5.1 mixing. GameSpy: Are there any challenges with working on a 5.1 channel game? Graeme Devine: Well, the hardware's only just come out to support multi-channel out of the card, so … the challenge is the hardware, as always. You find little things that you need to get fixed in the actual hardware itself. GameSpy: What was the reason you wanted to go ahead and support the new technology? Graeme Devine: DOOM is all about getting immersed in the world and really putting you there. We really wanted to really provide both a graphical front end -- the graphics are just outstanding - and a sound front end which would really put everything together. You can have a great game with great graphics and OK sound… you can have a great game with great sound and OK graphics … why not do both? We have enough manpower and programming time to be able to do both well. As before this raises around the differences between what they are doing with the Doom III engine and the range of other 3D audio games that already support the 6 channel sound cards on the market. It also reads like he is working with a specific piece of hardware. Rather than speculate further, we will try to get some specific answers around the Doom III audio. To understand what I'm trying to achieve with the system it's important to definite a common set of terms, review the problems, and discuss potential solutions to those problems. Music For Games reports that Microsoft will distribute and market the audio soundtrack from Halo. The latest chapter in the critically acclaimed Myst saga, Myst III: Exile, has been awarded the Soundtrack of the Year by Game Industry News. "It's a great soundtrack and Jack Wall should be very proud of his work," said John Breeden, Chief Editor of Game Industry News. "The goal of a soundtrack is to set the mood of the game and Myst III: Exile excels at this.". For quotes from a number of reviews and for further information on Jack Wall you can check out the full press release. 05/01/02 This article by Hayden Porter demonstrates the process of converting a MIDI loop mix into a Flash-based loop mix. Flash loop mixes are bandwidth-friendly (40 to 100 KB downloads) long-form compositions (typically 30 seconds to 2 minutes in length) which offer more musical interest than simple loops and don't suffer from streaming audio dropouts. Die Hard: Nakatomi Feature Soundmax SPX "Animated Audio"
04/30/02 - Analog Devices has announced that its advanced audio rendering technology, SoundMAX(R) SPX, has been incorporated into Fox Interactive's new PC game Die Hard: Nakatomi Plaza, developed by Piranha Games of Vancouver, Canada. SoundMAX SPX is a cross-platform audio rendering solution that provides highly realistic interactive audio for game titles. Based on both physical and event modeling technologies, SoundMAX SPX alleviates the repetitive nature of sound-effects processing by using advanced audio rendering and manipulation techniques. This results in more organic sound effects that reflect user input in real time. Die Hard: Nakatomi Plaza shipped to stores last week. You can find more details in the press release. Will Savage Skies support advanced features such as 5.1 surround or HDTV capabilities. Randy G: Yep, we will be offering support for Dolby Digital Surround Sound as well as some options for those lucky rich bastards who own an HDTV. At the end of the interview you will find 2 samples from the soundtrack in the MP3 format. 04/24/02 - Beatnik published a new FAQ updating the current status of the Beatnik player and its future open source release..
04/22/02 - I would like to announce the addition of a new member to the IASIG steering committee. Jan has been an influential member of the WAWG for the past year and will also be webmastering the IASIG site from now on, this is his handy work you are viewing at the moment. It is an understatment to say that we all appreciate his hard work very much and are extremely lucky to have him on board. As a Senior Web Consultant and an Interface Development Lead at Razorfish, Jan Martin Borgersen integrates innovative user experiences with cutting-edge web service technologies. His client list includes the Cisco Systems Web Framework Group, Ventro/Chemdex, TheScience.com, and Gloss.com. Jan joined Razorfish in February 2000 after working at Sun Microsystems as a software engineer on the Java Sound API, which has been the core Java audio solution since Java 2 Standard Edition version 1.3. Prior to Sun, he worked at IBM on various application development tools, including NetObjects BeanBuilder and VisualAge for Distributed Smalltalk. His career focus has been to understand how users and developers interact with distributed computing environments, and to provide the technology to make those interactions more efficient, more effective, and more fun. Jan holds an M.S. degree in Computer Science from the University of North Carolina at Chapel Hill, where he focused on networking support for multimedia traffic, and B.S. degrees with honors in Electrical and Computer Engineering from North Carolina State University. 04/22/02 - Dolby Laboratories' Dolby® Surround Pro Logic® II technology is now available for all Nintendo GameCube(TM) developers through Factor 5's MusyX development tool, which is offered exclusively by Nintendo. As we previously mentioned Factor 5 used Dolby Pro Logic II in its Star Wars Rogue Leader: Rogue Squadron 2. What's new now is that other GameCube developers will be able to easily take advantage of Dolby Pro Logic II. You can find more details in the press release. As you may recall Dolby has previously announced Pro Logic II For PlayStation 2 developers. 04/01/02 - Meditation Music allows you to play the Indian Flute and Sitar along to the Tabla beat to produce a blissful calming music by simply 'rolling over' the instruments. Fun for non-musicians and musicians alike. For Mac OS X. An online Flash version of this app can be found on musicufo. 03/28/02 - The Tao's "intent" is a graphics and Java engine for phones, PDAs and set-top boxes, and forms the core of the Open Contents Platform Association (OCPA), which now includes sixty of the world's leading consumer electronics manufacturers, content developers and software vendors. The acquisition of SSEYO (the makers of text based Koan vector audio) adds the audio component, which will become increasingly critical in the mobile space over the next 18 months in client devices as the interactive services mature from carriers. We are incorporating the dynamic music system that made its first appearance in SOF1. There have been some modifications to this system to allow for MP3 support and give the ability of crossfading, but essentially it does the same job - it goes from a slow/exploration version to a high-action/crazy version when the enemy sees you. EAX 3.0 (Environmental Audio) will be incorporated. This means that SOF2 will take full advantage of Creative's new Audigy card. But worry not! It will still be completely compatible with a wide variety of the sound cards you know and love. The game was designed with spoken English and English subtitles in mind, but is being localized into English, American, French, German, Korean, Taiwanese, Spanish and Italian. Japanese may also be added before all is said and done. You will hear monkeys in the Colombian Jungle levels. 02/27/02 - The new version 1.3 of Pulse Sonifier adds an easier publish mode called 'Single Script Source' publishing which lets you paste a small piece of sonification code into your Web site using your favorite HTML editor (Dreamweaver, Front Page, Home Site, etc.). Once you add the code to your page, you can make repeated changes and updates to your sonification without ever touching code again! This eliminates the need to post HTML every time you make a change to your site sonification. 02/08/02 - In collaboration with a group of blind Dutch kids, Eargames has made this Flash Remixer, which is totally accesible from the keyboard. Fast connections can remix in hi fi stereo, slower connections in low fi mono. 01/15/02 - Alex Brandon says "XMF is the largest step forward in audio file formats in years". January 2002 - The IASIG announces the formation of a new Working Group. The purpose of this workgroup is to design an interactive audio system that puts creative control in the hands of the author, ensures implementation of the author’s intent, works on virtually any platform and is available to everyone. Interestingly, the file format to facilitate this legendary goal already exists! It’s called XMF and it’s brand new on the scene, fully worked out. This group will design an interactive (or “adaptive”) audio system that utilizes the open XMF standard. The goal is to define the specification of features and functionality at a relatively high level but with enough detail to submit to the MMA (MIDI Manufacturers Association) and for a developer to actually build it. With XMF being an open, published standard, anyone can create XMF authoring tools or players for in-house or commercial use. XMF is essentially a sophisticated file format that can contain various types of data and metadata, organized like a container of files, folders and special information. It’s that special information part that points the way toward this format’s suitability as a vehicle for audio and MIDI assets along with instructions as to their implementation. 01/01/02 - Let's all welcome Clint Bajakian to the Steering Committee of the IASIG. His energy and experience will be a great asset, and we are lucky to have him on board. 01/08/02 - QSound Labs has announced that it will be performing technology demonstrations of its patented 3D audio algorithms in the Intel both during CES. By combining localized 3D effects heard through headphones with an enhanced sound field through regular stereo speakers, QImmersion presents a layered audio effect that puts the player into the heart of the action. No mention of when/if any of the current companies using QSound technology (Philips being the most well know with their Edge series of soundcards) will licensee QImmersion. 12/11/01 - The Danger hiptop is a mobile device that seamlessly connects to wireless networks as a phone, to browse the Internet, exchange instant messages, entertainment apps and send and receive email with attachments. Using Beatnik Audio, Danger will be able to create and deliver rich musical ring tone services and peer to peer multimedia messaging. 11/29/01 - Check this out... now. You'll thank Jeff for it. 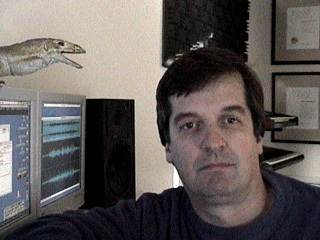 Jeff Essex, Creative Director of audiosyncrasy, creates music, sound effects and voiceover for multimedia. He is credited on over 50 CD-ROM titles,including products from Disney Interactive, Virgin Sound and Vision, Mindscape and 3DO. For the past five years he has worked primarily in online entertainment and audio interface design with clients including Disney Online, Nick Online, shockwave.com, Beatnik, Sun Microsystems, digeo, Apple Computer, Red Sky Interactive, and @Home. His book, "Multimedia Sound and Music Studio", (Random House/Apple New Media) won the prestigious Computer Press Award for Best Advanced How-To Book of 1996. "The goal of this piece was to create audio landscapes that evoke the setting of a Napa Valley winery. The challenge was achieving this in a relatively small file size without becoming repetitive or predictable. I built a library of samples that were saved as RMF files. Using Beatnik Xtra and Director, the programmer and I designed several complex algorithms to drive the playback of the samples. We were able to control the randomization of pitch, volume, pan and duration for each sound to maintain the illusion of an ambient field recording. Best of all, we were able to let users customize the settings to create their own experience. Our work paid off better than we expected. Moodmaker won several awards including the Communication Arts Award for 2001."